Located in Bangkok’s Sukhumvit area, iCheck inn Sukhumvit 19 is a 3-minute walk from Asok BTS Skytrain Station and Terminal 21 Shopping Mall. It is within walking distance from several shopping options. Free WiFi is provided. 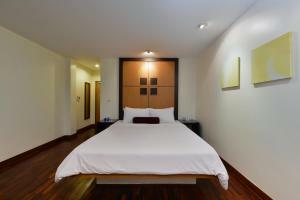 Modern rooms at iCheck inn Sukhumvit 19 are equipped with a flat-screen satellite TV, minibar and safety deposit box. The hotel offers laundry and ironing services. There are ATMs and a 24-hour mini-mart within 20 metres from the hotel. iCheck inn Sukhumvit 19 is a 40-minute drive to Suvarnabhumi International Airport. 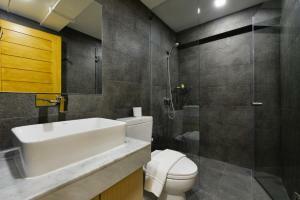 Air-conditioned room features a flat-screen TV, sofa seating area and private bathroom with shower facilities. Rate: THB 1600.00 ... THB 2200.00; select dates below to get current rates.